Identity clothing stores in SA are a great place to look for fashionable clothing at bargain prices. Although these stores have not been in existence for very long, twelve years to be exact. They have a large following in South Africa as they cater to all ages and have fashionable clothing. 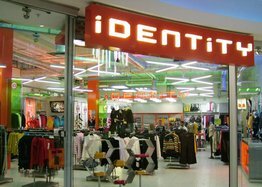 There are over 140 Identity clothing stores now open in shopping centres all over the country. And more and more opening monthly as demand for their new clothes at affordable prices is on the increase. Identity believe that they need to offer clothing that people will fall in love with. Their success has proven that many South Africans have fallen in love with their products. Identity clothing stores in SA offer cutting edge clothing as well as the must have basics which should be in every man and woman’s closet. However they realise that not everyone has a large disposable income. Therefore they provide clothing that is not only stylish but reasonably priced. What is even better is that you can apply for a store card and get credit to a world of fashion so you can pay off that beautiful outfit to suit your budget. There are two ways to apply for a store card. Firstly you can visit one of the Identity outlets, or you can apply online. Obviously the credit you receive depends on how much you earn and your credit rating. But the opportunity to be the most stylish person out of your group of friends is there. No matter what you are looking for. Whether it be a party dress, work clothes, or your new favourite pair of jeans. Identity clothes shops have something for everyone. And boys before you think that this store is only for girls… Why not take a look and be surprised at the clothing on offer for you too at Identity clothing stores in SA.